PFW welcomes Craig Vandall Stevens as its new Executive Director, effective July 1, 2017. In addition to teaching, Craig designs and builds one-of-a-kind furniture for exhibition and commission. He studied furniture making with James Krenov at the College of the Redwoods Fine Woodworking Program in northern California, a program renowned for its excellence in craftsmanship and attention to detail. His work is exhibited around North America and Japan. He has received numerous awards including an Individual Artist Fellowship from the Ohio Arts Council. 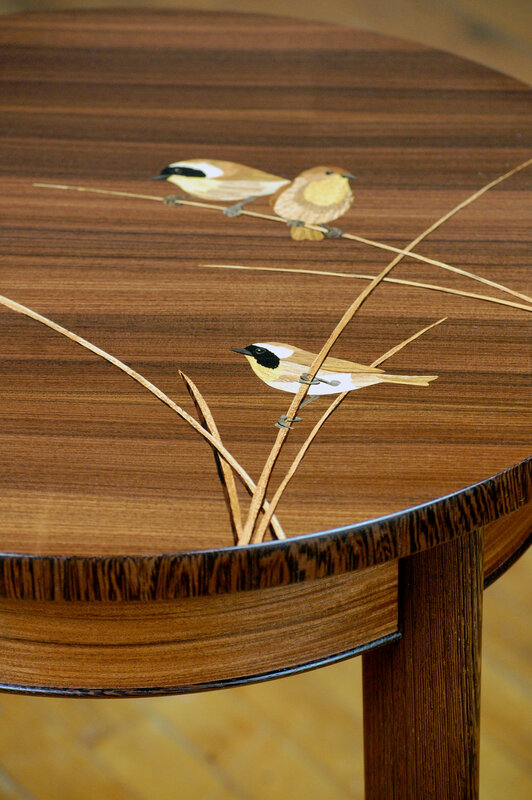 He’'s written feature articles for Fine Woodworking Magazine and is the author of five books published by Schiffer Publishing on the subjects of marquetry, chip carving and furniture making. His work appears in Taunton Press’ “Design Book Seven”, The Furniture Society’s “Furniture Studio; The Heart of the Functional Arts”, “Furniture Studio 2; Tradition in Contemporary Furniture” and “With Wakened Hands”, by Cambium Press. He has also created an online instructional class with Craftsy.com titled Contemporary Coffee Table. Craig has been a featured craftsman on the Home & Garden Television program, “Modern Masters”. He has taught furniture making workshops throughout North America and has given presentations at, among others, the American Craft Museum and the Hida Takayama International Conference on Craftsmanship in Takayama, Japan. Craig designed and carved the Ohio Supreme Court Judicial Bench in Columbus, Ohio, which included a 51'’ long frieze depicting the history of Ohio Law and other architectural patterns and elements. He is also responsible for reproducing many of the original architectural carvings for the historical renovation of the Ohio State House in Columbus, Ohio.